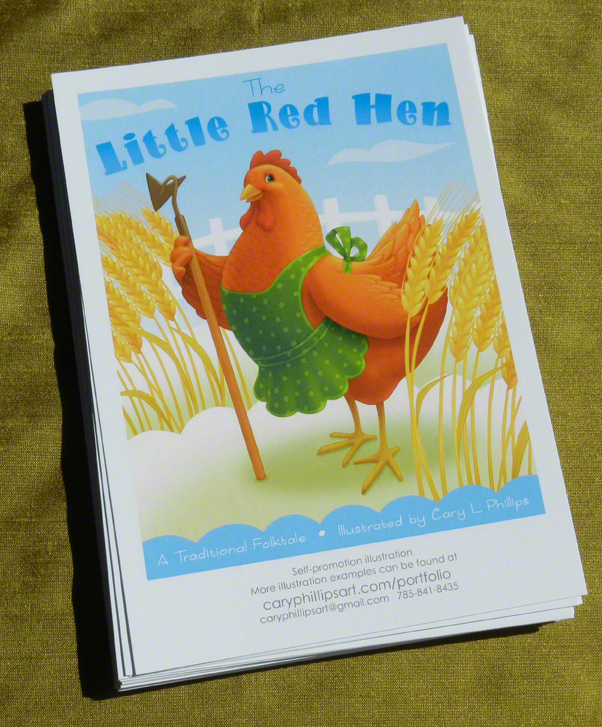 I created a book cover illustration of the folktale “The Little Red Hen” for self promotion and had a few postcards printed. “The Little Red Hen” story has always been one of my favorites. I have definitely identified with her on many occasions in my life. I’m hoping to do a series of covers for traditional tales. That’s a nice, attention-getting post.